Harold Bell Wright was a best selling author in the early 1900s. His stories present everyday people working their way emotionally, spiritually, and often physically through some crisis to an outcome of achievement and personal growth. Wrights’ novels contain very human characters with very human responses to events. His ability to describe the era that was half Wild West and half civilized Eastern society along with in-depth character development is superb. Harold Bell Wright’s characters were somewhat simple for literary critics, but average Americans related to them. The values espoused by the heroes and heroines of his novels were those of honesty, responsibility, hard work, and a belief in God. These values were those of the average person of the 1900s and millions bought his novels making him a best selling author for years. Born May 4, 1872, on Spring Brook Farm near Rome, New York, Harold Bell Wright was the second of four sons of Alma T. Watson and William A. Wright. Wright lost his mother at age twelve when she died. He then worked at a variety of jobs as a boy and teen: carpenter, farmer, quarry worker, house painter, roustabout in a boiler works as his father, an alcoholic, left him often to fend for himself. After attending Hiram College in Ohio, he went to the Ozark’s to stay with family and was introduced to the stunning and abundant nature there while fishing, hiking, and helping to repair his uncle’s farm. As a young man, Wright painted and was able to support himself from sales of his paintings while living in Ohio. His passion for landscape painting continued throughout his life as he captured on canvas the nature that he loved. While in Lawrence County, Arkansas, Wright attended a neighborhood dinner that was held at a local schoolhouse. When the scheduled preacher failed to show up, Wright was pressed into service because he had more formal education than anyone there. His talk that night was a success and he began being called in to substitute for other ministers as needed until his preaching pulled in packed houses. Soon he was given his own parish in Arkansas. Wright is the cowboy minister that appeals to rural and western folk. Before becoming a famous novelist, he was a pastor for several churches whose doctrine were those of Disciples of Christ. Having ministered to others, his books always include a look into the characters’ souls with a real-life view of their struggles. Having lived in California and Arizona, he wrote of the cowboys and ranching life with the authenticity of first hand experience. The compilation of these experiences appeared in his novels creating stories with which both city and country folk could relate. Between 1903 and 1942 Harold Bell Wright produced nineteen books along with scripts for plays and magazine articles. His titles include: The Winning of Barbara Worth a best seller in 1911 and 1912, Their Yesterdays a 1912 best seller, The Eyes of the World best seller in 1914, When a Man’s a Man 1916 best seller, The Re-Creation of Brian Kent a 1919 and 1920 best seller, Helen of the Old House a 1922 best seller, and The Mine With the Iron Door a best seller in 1923. As with James Oliver Curwood, many of Wrights books were written into screen plays and appeared as films in the first half of the 1900s. The Winning of Barbara Worth was made into a black and white film in 1926 starring Ronald Colman and Vilma Banky with Gary Cooper in one of his first roles. Producer Samuel Goldwyn and director Henry King went scouting themselves out into the Nevada desert to find the perfect spot to base this story of a mining engineer trying to reclaim the desert through irrigation. It was filmed in Gerlach, NV and includes a real live dust storm that kicked up during production as if on cue to fit the dust storm in the story. The Eyes of the World was made into a movie in 1917 starring Monroe Salisbury, Jack Livingston, and Jane Novak. The Re-Creation of Brian Kent is a 1925 film starring Kenneth Harlan and Helene Chadwick. Dealing with harsh subject of alcoholism and the “re-creation” of an alcoholic in delirium tremors, this book and film were gritty subjects for the time. The Mine With the Iron Door was made into a movie both in 1924 and 1936. The Shepherd of the Hills was made into a movie in 1919 starring Harry G. Lonsdale as the Shepherd, Dan Howitt, Catherine Curtis as Sammy Lane, and George McDaniel as Young Matt. Harold Bell Wright actually wrote the screen play working with director Louis F. Gottschalk to produce the film. We’d like to encourage you to read some of Harold Bell Wright’s books. His characters are more developed than those in Curwood’s books. The values and ideals presented through his plots and characters are timeless. We hope that you will read his books and find one hundred years later what the reading public of the early 1900s found in them; whit, charm, realism and the conquering of the struggle between the better and worse selves of the average person. 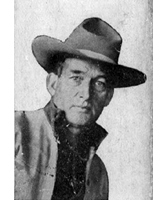 Below are a list of Harold Bell Wright’s novels and movies made from them.